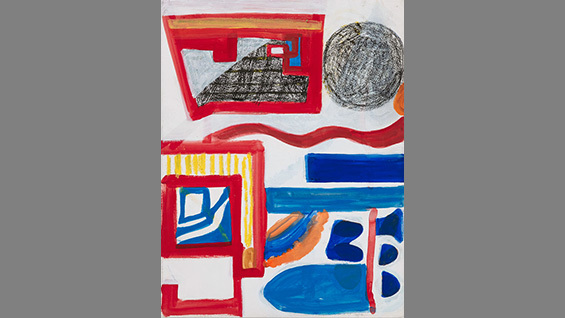 Shirley Jaffe, a 1945 graduate of the School of Art, continues her artistic practice at age 91 with a recent monograph of her work and a solo exhibition at New York's Tibor de Nagy Gallery. An article in the Friday, April 17 edition of the New York Times features her. Ms. Jaffe has lived in Paris since 1949 but was born and raised in Brighton Beach. The nature of her artwork has changed from the time she graduated. 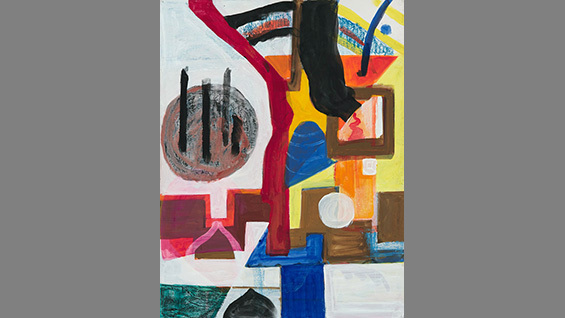 Working on both canvas and paper, "the paintings are done in a geometric abstract style that Ms. Jaffe adopted in the late 1960s, abandoning the gestural brushwork with which she began her career in the early 1950s," the Times writes. 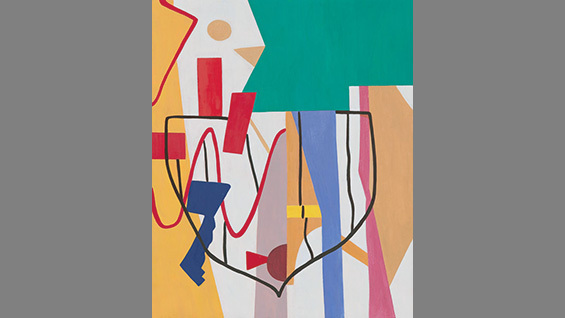 "The works on paper, in Flashe vinyl paint, show a looser hand but the same Matisse-esque brilliance of color as in her paintings." The Museum of Modern Art and the Pompidou Center in Paris have collected her work, among others. The monograph, "Shirley Jaffe: Forms of Dislocation" (Flammarion) by Raphael Rubenstein, appeared in 2014. 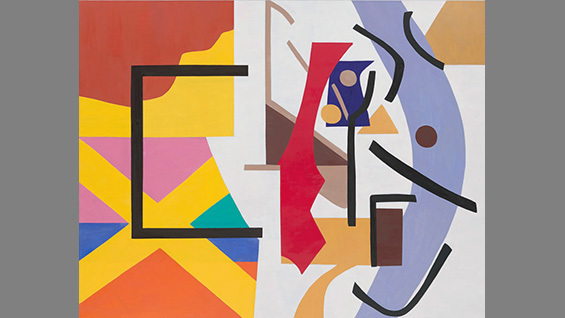 "Paintings and Works on Paper," the exhibition at the Tibor de Nagy Gallery, her fifth at the space, is open until May 2. “I have done a lot of work,” Ms Jaffe says in the Times. "I do work practically every day now, but a lot less, which disturbs me. But I do try to keep to a rhythm of doing at least something every day."